This bold, popularizing synthesis presents a readily accessible introduction to one of the major themes of twentieth-century world history. Between 1922, when self-government was restored to Egypt, and 1994, when nonracial democracy was achieved in South Africa, 54 new nations were established in Africa. 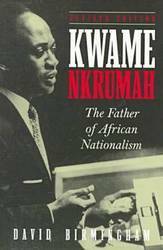 Written within the parameters of African history, as opposed to imperial history, this study charts the processes of nationalism, liberation and independence that recast the political map of Africa in these years. Ranging from Algeria in the North, where a French colonial government used armed force to combat Algerian aspirations to home-rule, to the final overthrow of apartheid in the South, this is an authoritative survey that will be welcomed by all students tackling this complex and challenging topic. 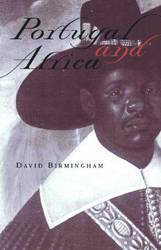 The complete Cambridge History of Africa was intended to present the most comprehensive and up-to-date synthesis of historical development on the African continent. 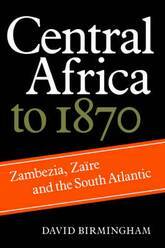 Central Africa to 1870: Zambezia, Zaire and the South Atlantic consists of chapters written for the History by David Birmingham. They were originally published in three separate volumes, and are reprinted here to provide a continuous survey of the political, social, and economic changes that took place in Central Africa during the eight centuries before the colonial era. The first chapter covers the transition from the early Iron Age culture to more mature cultures, characterized by long-distance trade, by more varied technologies and by the emergence of complex political systems. The expansion of European influence, from the late fifteenth century onwards, is considered in the second chapter, together with the modification of economic and political structures in areas affected by the development of the slave trade. The final chapter deals with the last phase of Central Africa's pre-colonial history during which a series of new dynamic forces intruded into the region.  A new bibliographical essay of suggestions for further reading has been compiled for this edition. It will be valuable to both students and teachers of African history. The first African statesman to achieve world recognition was Kwame Nkrumah (1909-1972), who became president of the new Republic of Ghana in 1960. He campaigned ceaselessly for African solidarity and for the liberation of southern Africa from white settler rule. His greatest achievement was to win the right of black peoples in Africa to have a vote and to determine their own destiny. He turned a dream of liberation into a political reality. He was the leader of Ghana who urged Africa to shed the colonial yoke and who inspired black people everywhere to seek their freedom. This revised edition of Birmingham's fine and accessible biography chronicles the public accomplishments of this extraordinary leader, who faced some of the century's most challenging political struggles over colonial transition. African nationalism, and pan-Africanism. It also relates some of the personal trials of a complex individual. As a student in America in the late 1930s, Nkrumah, shy, disorganized, but ambitious and persistent, earned four degrees in ten years. For political training he then went to England. Nkrumah found writing difficult throughout his lifetime, but once back in his African homeland, with its oral heritage, Nkrumah blossomed as a charming conversationalist, a speechmaker, and eventually a visionary and inspiring leader. Nkrumah's crusades were controversial, however, and in the 1960s he gradually lost his heroic stature both among his own people and among his fellow leaders. He lived his last years in exile. This remarkable life story, which touches on many of the issues facing modern Africa, will open a window of understanding for the general leader as well as for graduate and undergraduate classes. In this new edition, Birmingham also examines Nkrumah's exile and provides insight into the image of Nkrumah that has emerged in the light of research recently published. 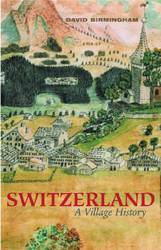 Switzerland: A Village History is an account of an Alpine village that illuminates the broader history of Switzerland and its rural, local underpinnings. It begins with the colonization of the Alps by Romanized Celtic peoples who came from the plain to clear the wilderness, establish a tiny monastic house, and create a dairy economy that became famous for its cheeses. Over ten centuries the village, like the rest of Switzerland, went through the traumas of religious reformation and political revolution. A single currency, a unified postal service, and eventually an integrated army brought improved stability and prosperity to the union of two dozen small republics. Yet Switzerland's enduring foundation remains the three thousand boroughs to which the Swiss people feel they truly belong. 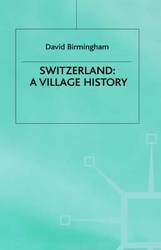 In Switzerland: A Village History, distinguished scholar David Birmingham tells the story of his childhood village-Chateau-d'Oex-where records of cheesemaking date to 1328. The evolution of this ancient grazing and forest economy included the rise of the legal profession to keep track of complex deeds, grazing allotments, and animal rights-of-way. Switzerland's eventual privatization of communal grazing land drove many highlanders to emigrate to the European plains and overseas to the Americas. The twentieth century brought wealth from foreign tourism to Switzerland, punctuated by austerities imposed by Europe's wars. Alpine peasants were integrated into Swiss union society and began at last to share in some of the prosperity flowing from urban industry. 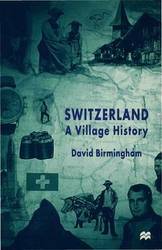 Switzerland: A Village History replaces the mythology and patriotic propaganda that too often have passed for Swiss history with a rigorous, insightful, and charming account of the daily life, small-scale rivalries, and local loyalties that actually make up Swiss history. ... useful, timely, and important... a good and informative book on the Lusophone countries, Portuguese colonialism, and postcolonial influences. -Phyllis Martin, Indiana University This book, produced by the obvious-and distinguished-corps of country specialists... fills a real gap in both state-level and 'regional' (broadly defined) studies of contemporary Africa. -Norrie MacQueen, University of Dundee Although the five Portuguese-speaking countries in Africa that gained independence in 1974/75-Angola, Mozambique, Guinea-Bissau, Cape Verde, and Sao Tome e Principe-differ from each other in many ways, they share a history of Portuguese rule going back to the 15th century, which has left a mark to this day. Patrick Chabal and his co-authors assess the nature of the Portuguese legacy, using a twofold approach. In Part I, three analytical, thematic chapters by Chabal examine what the five countries have in common and how they differ from the rest of Africa. In Part II, individual chapters by leading specialists, each devoted to a specific country, survey the histories of those countries since independence. 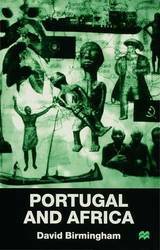 The book places the postcolonial experience of the Lusophone countries within the context of their precolonial and colonial past and compares and contrasts their experience with that of non-Lusophone African states. 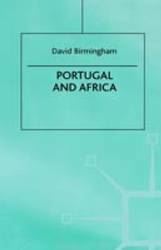 The result is a comprehensive, readable, and up-to-date text and reference work on the evolution of postcolonial Portuguese-speaking Africa. 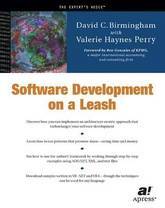 Software Development on a Leash is designed as a roadmap for experienced developers and architects who are interested in implementing a turbocharged software development process that encourages reuse and innovation. Author David Birmingham's products have been successfully deployed in a variety of venues, including highly complex desktop environments, with rapid turnaround and high-intensity delivery deadlines. This book contrasts the application-centric development approach to the architecture-centric development approach, introducing the concept of the metamorphic superpattern-the capability of a software program to dynamically adapt to changing application requirements without rebuilding the binary executable. Birmingham invites the reader to deploy reusable structural and behavioral building blocks, along with some powerful frameworks to gain immediate traction in any setting. He includes a high-speed multidimensional toolkit to organize and deploy the building blocks, essentially weaving the application together at run-time rather than being hard-wired in program code. Birmingham then ties the building blocks together with structural and behavioral metadata, allowing simple, interpreted macros to drive everything from database access, screen layouts, and many aspects of software development normally embedded directly into the software programand reused! The rapid deployment effect this creates allows developers to perform simple surgical application changes or rapid, sweeping rework/enhancement-without changing compiled software. Trade and Empire in the Atlantic 1400-1600 provides an accessible and concise introduction to European expansion overseas during the early modern period. It explains why and how seafarers visited the Caribbean, South America and Africa, and looks at the history of the communities that lived around the ocean as they responded to the challenges and opportunities which sea trade opened for them. Historical thinking on the subject of Empire is naturally controversial as is shown by this survey of the first four stages of early Atlantic colonisation from the conquest of the Canary Islands to the creation of slave plantations in Brazil. 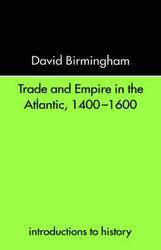 This history of the Atlantic Empires is an authoritative introduction to an essential topic in world history. The late-medieval Portuguese who arrived in Africa were colonizers in the roman style, gold merchants on an imperial scale, conquistadores in the Hispanic tradition. Although their empire struggled to survive centuries of Dutch and English competition, it revived in the twentieth century on a tide of white migration. Settlers, however, brought racial conflict as well as economic modernisation and the Portuguese colonies went through spasms of violence which resembled those of Algeria and South Africa. Liberation eventually came but the peoples of the old colonial cities clung tightly to their acquired traditions, eating Portuguese dishes, writing Portuguese poetry and studying in Portuguese universities. 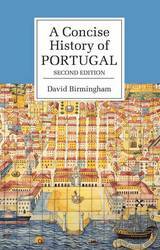 Portugal was the first European nation to assert itself aggressively in African affairs. 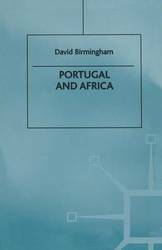 David Birmingham's Portugal and Africa, a collection of uniquely accessible historical essays, surveys this colonial encounter from its earliest roots. The Portuguese established sugar plantations on Africa's offshore islands and built factories on the beaches in the fifteenth century, but Professor Birmingham explains that their focus shifted to regions where medieval African miners had discovered deep seams of gold ore. Later, when even richer mines and more fertile lands were captured from the native peoples of the Americas, Portuguese ships became the great slave bridge that spanned the Atlantic and ferried captive black workers to the colonies of the New World. Portugal lost its major mining claims in Africa to the British, but it left a legacy of a new pattern of white settler colonization based on American-style plantations. The blending of European and African cultures and races led to the emergence of elite communities, from the Kongo princes of the seventeenth century to the creolized generals of today. 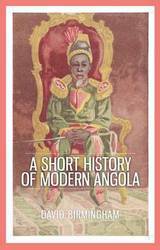 Portugal and Africa focuses extensively on Angola to cast new light on the final years of the colonial experience and its traumatic legacies. After 1950, Portuguese Angola became one of the most dynamic of Africa's colonies and the largest white colony outside of Algeria or South Africa. Angola's eventual collapse in a series of wars had devastating results. Birmingham brings the terror and devastation to life in a series of powerful chapters that are a model of disciplined scholarship and informed passion. When David Birmingham, a professor of history, retired from the University of Kent, he thought it would be fun to train as a Canterbury city guide. He soon became fascinated by the city's past and, after a lifetime of studying Africa - from the Iron Age onwards - he developed a particular interest in the prehistory of the Canterbury area. This early history is barely mentioned in guidebooks which tend to start in 43 AD with the coming of the Romans, or even in 597 when Pope Gregory's missionaries arrived to revive Christianity. David delved into archaeological reports and synthesised their findings into a readable narrative, designed to appeal to a wide readership. His book tells of ancient 'Celtic' peoples who traded far and wide in great oak Bronze Age boats, such as the one unearthed in Dover. It paints a picture of hill-fort inhabitants, whose lifestyle can be reconstructed from the chariot wheel-hubs, horse bridals, and tools they left behind when the Romans invaded. It shows how Canterbury with its great classical theatre and a prestigious city wall became a major Roman settlement. The city declined after the legions withdrew around 410 A.D. but Romanised Britons remained in countryside villas with decorated mosaic floors. The Jutes and other Saxon peoples who sought a new Kentish homeland produced magnificent jewellery which belies suggestions that theirs was a primitive 'dark age'. 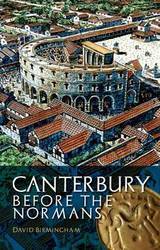 In a lively and accessible way, this book tells the story of the diverse and colourful people who occupied Canterbury before the Normans. This bold, popularizing synthesis presents a readily accessible introduction to one of the major themes of the twentieth-century world history. Between 1922, when self-government was restored to Egypt, and 1994, when non-racial democracy was achieved in South Africa, no less than 54 new nations were established in Africa. 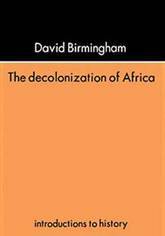 Written within the parameters of African history, as opposed to imperial history, this study charts the process of nationalism, liberation and independence that recast the political map of Africa in these years. Ranging from Algeria in the North, where a French colonial government used armed force to combat the Algerian aspirations of home rule, to the final overthrow of aparthied in the South, this is an authoritative survey that will be welcomed by all students tackling this complex and challenging topic. An authoritative account and analysis of what has happened to the region of central Africa since the period of vigorous decolonization in the 1960s, this volume compares the legacies of British, French and Portuguese colonization. 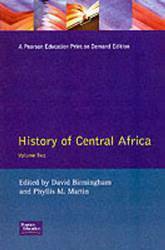 History of Central Africa examines the modern nations of Angola, Cameroon, Central African Republic, Chad, Congo, Gabon, Malawi, Mozambique, Zaire, Zambia, and Zimbabwe; and considers the impact on the region of the ethnic conflict in neighboring Rwanda and Bweebndi. The dark years of European fascism left their indelible mark on Africa. As late as the 1970s, Angola was still ruled by white autocrats, whose dictatorship was eventually overthrown by black nationalists who had never experienced either the rule of law or participatory democracy. 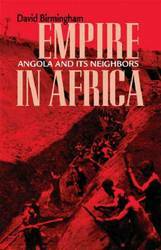 Empire in Africa takes the long view of history and asks whether the colonizing ventures of the Portuguese can bear comparison with those of the Mediterranean Ottomans or those experienced by Angola's neighbors in the Belgian Congo, French Equatorial Africa, or the Dutch colonies at the Cape of Good Hope and in the Transvaal. 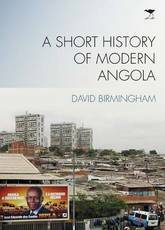 David Birmingham takes the reader through Angola's troubled past, which included endemic warfare for the first twenty-five years of independence, and examines the fact that in the absence of a viable neocolonial referee such as Britain or France, the warring parties turned to Cold War superpowers for a supply of guns. For a decade Angola replaced Vietnam as a field in which an international war by proxy was conducted. Empire in Africa explains how this African nation went from colony to independence, how in the 1990s the Cold War legacy turned to civil war, and how peace finally dawned in 2002. 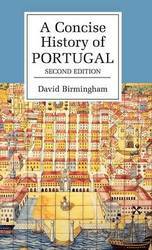 Esta historia concisa e ilustrada de Portugal ofrece una introduccion a la cultura y a la gente del pais, a sus tres imperios en Asia, America y Africa, y a su busqueda en Europa de una modernizacion economica, de una estabilidad politica y de un consorcio internacional. Tras una breve introduccion a los 2000 anos de historia portuguesa anteriores a la restauracion de 1640, el libro estudia los efectos de la inmensa riqueza procedente de las minas de Brasil, del crecimiento del comercio del vino y de la evolucion de los estrechos lazos que la unieron con Inglaterra, la 'mas antigua aliada' de Portugal. La revolucion de 1820 a 1851 creo una monarquia liberal, pero en 1910 el rey fue derrocado y en 1926 fue sustituido por una dictadura que trato de acabar con la pobreza de Portugal construyendo un nuevo imperio en Africa. En 1974 el imperio del sur parecia menos atractivo que el norte industrial , y en 1986 Portugal dio un cambio de rumbo para convertirse en miembro democratico de la Comunidad Europea. This book opens with an account of the great explorers of the fifteenth century and looks at the imperial tradition which led Europeans to seek goldmines on both shores of Africa, to plant sugar and cotton on Africa's islands, and to carry away Africa's field-hands as slaves for the new colonies of the Americas. Although Portugal lost much of West Africa and South Africa to the Dutch in the seventeenth century, it retained important trading harbours in Central Africa. In the twentieth century these old colonial ports held off the challenge of British imperial advances and became the focus of immigrant colonies which eventually attracted nearly half a million white settlers. Relations between these settlers and their black hosts were complex and a mixture of exploitation and cooperation led to the emergence of 'coloured' communities similar to those of Cape Town. In the 1960s the 'African Revolution' reached the frontiers of both Portuguese Angola and Portuguese Mozambique and long wars of liberation broke out which eventually drove Portugal to abandon its political hold on Africa. A fascinating cultural and commercial legacy persisted, however, despite the virulence of anti-colonial nationalism. In 'Lusophone' Africa, where people spoke Portuguese, urban lifestyles remained quite different from those of 'Anglophone' Africa, linked to London, or 'Francophone' Africa, which preserved French colonial traditions.